Editor’s Note: Congratulations to these four outstanding Readers’ Choice Awards winners! (For a full list of RCA winners, please read the March 2017 issue or visit www.fcapgroup.com/flcaj/readers-choice/). 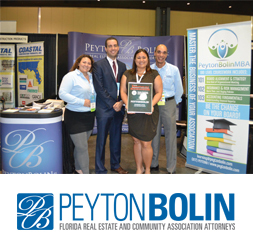 PeytonBolin PL is a law firm dedicated to enriching the community association industry through legal counsel and education. Community association law is more than just collections (and collections are important to keep cash flow and revenue moving)! We provide the guidance and strategy for boards and managers to produce the kind of community they are committed to. Not every association wants the same thing, and not every law firm is the right fit. We are looking for clients who want to work collaboratively with us to produce results! We provide innovative billing structures to help associations achieve their goals. Board and manager education makes a difference. Join us for classes online and in person. Be sure to check out Jane F. Bolin’s new book, Mastering the Business of Your Association, which can be found on Amazon! For more information on PeytonBolin PL, call (877) 739-862 or visit www.peytonbolin.com. For more information on LCM Engineering, call (239) 590-0263 or visit www.lcm.com. 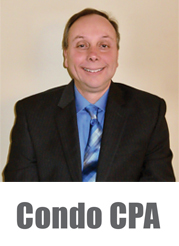 Brad Schneider is the president and founder of CondoCPA Inc., a certified public accounting firm. Schneider is a graduate of the University of Illinois in Urbana with a Bachelor of Science in Accounting. He also earned an MBA from the University of Illinois Chicago Campus. 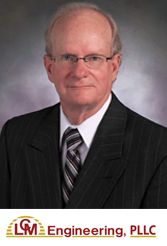 He has been a certified public accountant, practicing in public accounting for more than 40 years. He is also a certified fraud examiner. CondoCPA has served the needs of managed and self-managed community associations for more than 25 years, providing expertise in monthly accounting, audits, reviews, compilations, tax preparation, developer turnovers, and much more. 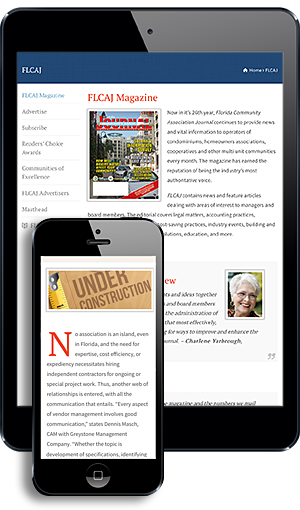 CondoCPA works exclusively with community associations, including condominiums, cooperatives, townhomes, and homeowner associations, handling more than 500 associations and is considered a leader in the industry in Florida for over a decade. For more information on CondoCPA, call (877) 900-1040 or visit www.condocpa.com. Budd Monisera’s focus for more than 25 years has been continuously satisfying customers’ needs with innovative methods and techniques. Offering the finest and most durable products available for roof coatings, exterior painting, interior painting, residential, condominiums, commercial, or industrial projects. 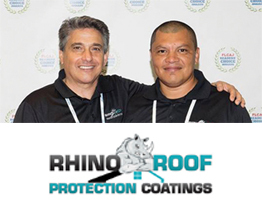 Rhino Roof Protection Coatings not only beau-tify but provide waterproofing, energy savings, mold and mildew resistance, eliminate pressure cleaning problems, and extend the life of A/C units. Restoration is our goal, rather than succumbing to the deterioration of the roof substrate or tearing off and building a new roof. Our award-winning products are better than a new roof, longer lasting, with lifetime warranties, offering superior protection and savings. We are honored to be South Florida’s roof protection choice with reliability and integrity. For more information on Rhino Roof Protection Coatings, call (800) 468-7985 or visit www.RhinoRoofProtection.com.